The world may have ended, but that doesn’t mean players have to go it alone in the Commonwealth. In Fallout 4, there are 13 different companions that can be recruited and tugged into battle with you. Some are ridiculously easy to get while others require putting in a little footwork. However, many companions can also be romanced. No, not in the Bioware way where players get a bit of an awkward scene between two CGI models … rubbing each other, but instead players build a meaningful relationship and get rewarded with a special companion –specific perks. Each companion has likes and dislikes so getting the most out of each person is not often about just recruiting them, but earning their approval as well. Perk: Trigger Rush – Your AP regenerates +25% faster if your health is below 25% of your maximum HP. Cait is a rough-and-tumble Irish pit fighter that you meet in the Combat Zone raiders bar right next to Goodneighbor. After completing the quest Benign Intervention, she becomes available as a romancable companion. Although addicted to chems, she will eventually change the way she views them, but she will always love lock picking and stealing things. It’s worth noting she likes you best when you are naked. Perk: Robot Sympathy – Gain +10 damage resistance against robot energy weapons. As part of the main story, you get Codsworth as a companion quite early whether you want him or not. As a stuffy British butler in robot form, he likes all the things one would expect from a stuffy British robot butler. He likes it when you are nice and do things for free, but he hates any sort of breaking the law. Perk: Combat Medic – Once a day, you can instantly heal 100HP when your health goes below 10% of your maximum HP. Curie can be recruited in Vault 81. She is essentially a female Codsworth, but with a French accent. This means she likes being nice and generous, but hates crime just like ol’ Cod. Perk: Cloak & Dagger – Get 40% bonus time with Stealth Boys and deal 20% extra sneak attack damage. Deacon is an enigmatic cool guy that players can recruit after discovering and doing a few quests for The Railroad faction. He likes being helpful to people, but appreciates hacking and lock picking as a way of getting things done. He also likes a fair bit of snark and you backing up his over-the-top lies. As an additional fun tidbit, his clothing changes depending on where you take him so as to blend in with the locals. Likes: None, he’s a dog. Dislikes: None, he’s still a dog. Dogmeat is the first companion you get when heading to the Red Rocket Gas Station just south of Sanctuary. Say hi to him and he’s there for life. He’s man’s best friend. Dogmeat doesn’t mind you murdering whole towns or saving small babies from danger. He’s just in it for the kibble and the cuddles. Perk: Isodoped – You gain critical meter 20% faster when your rads total is 250 or higher. Hancock, the ghoulish mayor of Goodneighbor, is first met when entering the city. However, it is not until you complete the Big Dig sidequest from Bobbi in the city’s side street does he become available to become a companion. You may also have to complete the Silver Shroud quest beforehand as well. Hancock is a bit of a hard man to read. He may have a crispy-looking shell on the outside, but there is a heart of gold in there somewhere. He likes you helping people, but also doesn’t mind you getting rough with thugs. He is also one of the few companions that is completely fine with your crippling chem addiction, he loves it, actually. 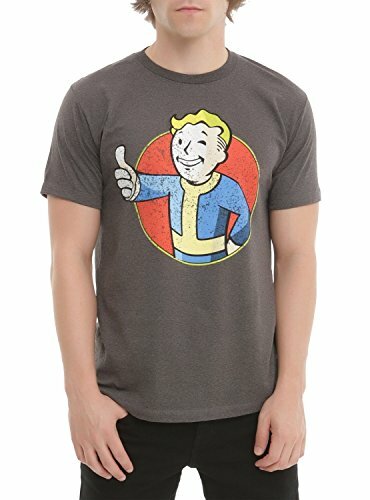 Perk: Killshot – Headshot accuracy in VATS is improved 20%. MacCready can be found at the Third Rail Bar in Goodneighbor. After doing his quest he becomes a useful companion whose sniper fire is a great asset. Those who played Fallout 3 may remember him and his … little problem that he is still trying to solve. MacCready loves to be bad. If you plan on being violent, stealing, and being an all around jerk, he’s the guy you want tagging along. Perk: Close to Metal – One extra guess and 50% faster terminal cooldown when hacking. Nick Valentine is found along the main story quest line, so he is easy to get. Nick Valentine is also easy to get along with as a companion. So long as you act like a crime-fighting, goody-two-shoes, he’ll love you. As a synth, he also likes hacking. However, if you plan on being anti-synth or hanging with the Brotherhood a lot, you may want to leave him at home. 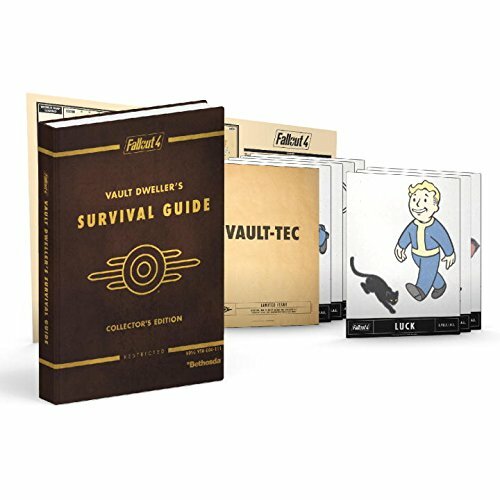 Perk: Know Your Enemy – Gain 20% damage against feral ghouls, super mutants, and synths. Paladin Danse can be recruited after listening to the Brotherhood of Steel call for help on their special radio band and heading to Cambridge Police Department. Paladin Danse is a straight-laced hero type with insane loyalty to the Brotherhood of Steel. Don’t use sarcasm, don’t question orders of the Brotherhood, and hate anything that isn’t human and he’ll love you. Perk: Gift of Gab – Earn twice the XP for successful speech challenges and location discovery. Perk: United We Stand – Deal +20% damage and gain +20 Damage Resistance when facing three or more opponents. Recruitable after the events in Concord, Preston, like Paladin Danse, loves the good guy heroic life style. Help people for free, take the peaceful way out and modify weapons and Preston will like you. Perk: Berserk – Deal +20% damage with melee weapon damage when you fall below 25% health. Strong is a super mutant found on the top of Trinity Tower after the Curtain Call quest (initiated after listening to Trinity Tower radio) locked in a cage. Like any super mutant, Strong likes violence, but is also trying to get in tune with his human side. He hates human technology and chattiness, but doesn’t mind you killing a few innocents. Perk: Shield Harmonics – Gain +20 Energy Resistance permanently. After finishing the main Institute quest lines, you can recruit the Courser X6-88 in the Synth Retention lab. He’s…uh… not much to talk to, personality-wise, but he loves all things tech. However, as a synth, he doesn’t really care for human emotions.